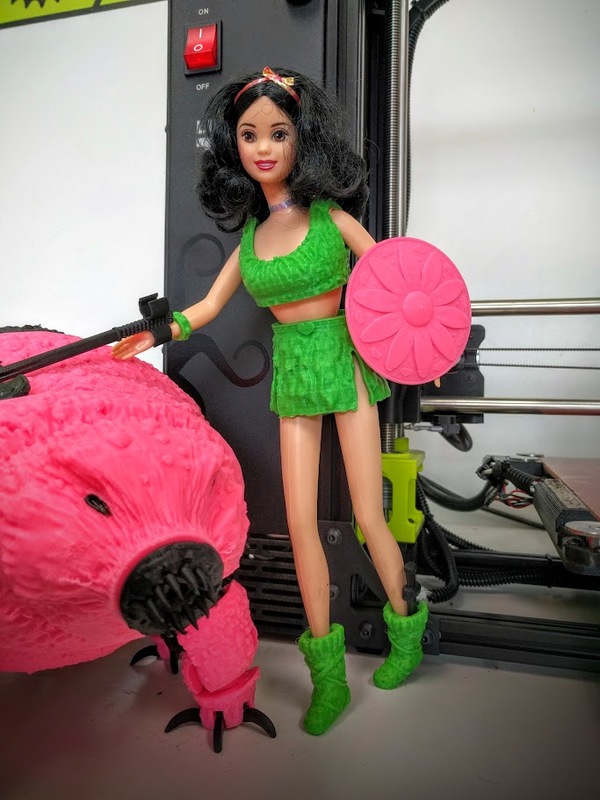 When I saw the Zheng3 3D printed Barbie armor and Tardigrade models, I knew I had to print them. 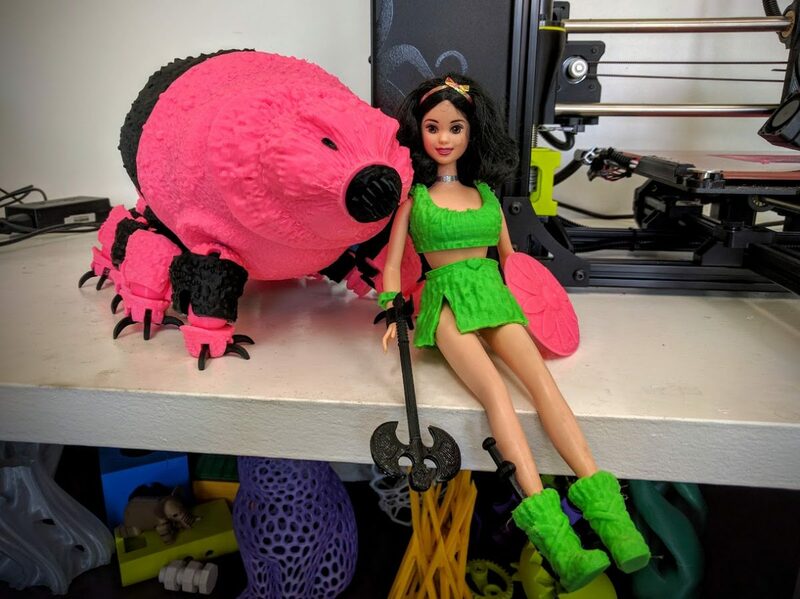 Many hours of print time on our LulzBot Mini with Flexystruder, TAZ 5, and TAZ 6, and we had one sweet Barbie Tardigrade! 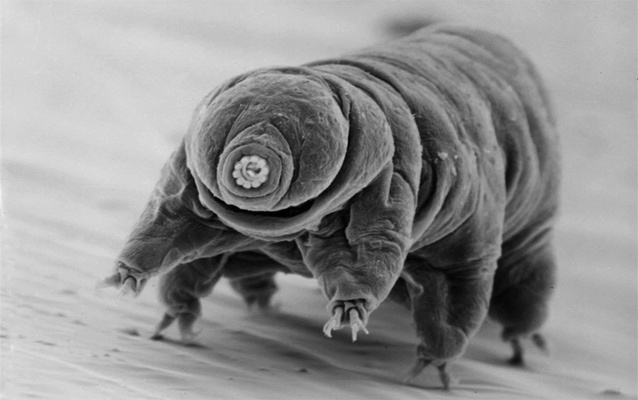 Barbie’s clothing is printed in grass Ninjaflex, and the Tardigrade is printed in black ABS and Pink PLA. Tip: don’t mix 2 materials as they expand and shrink at different rates and cause the joint fit to be uneven. 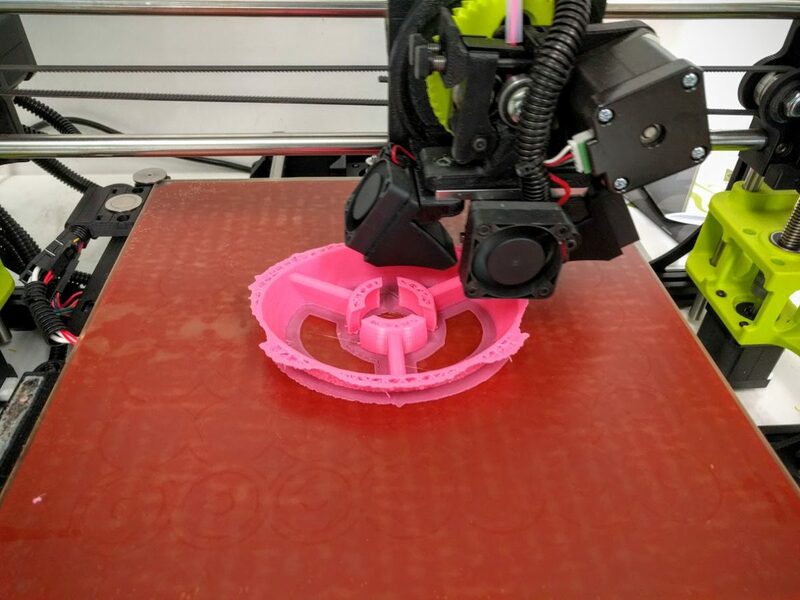 PLA was a bit too brittle for this as well. 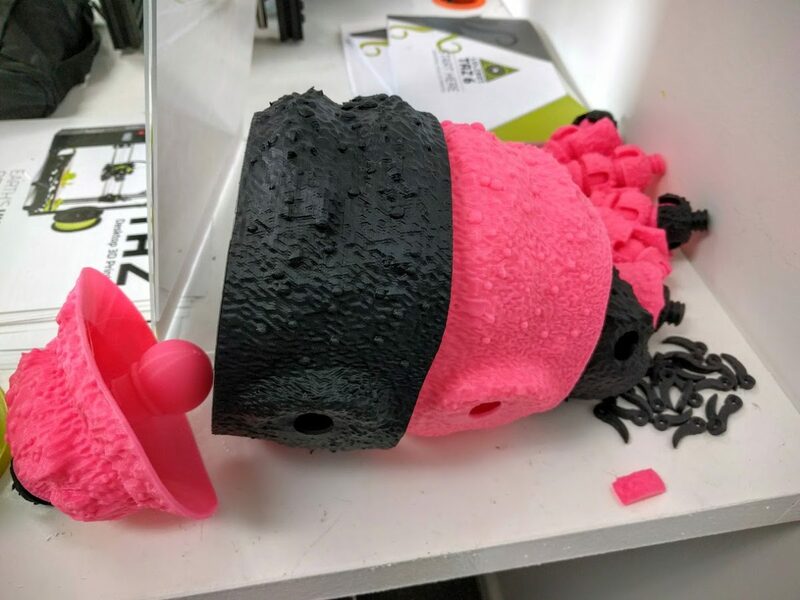 nGen or another polyester filament probably would have been ideal, but we had a bunch of PLA and ABS, and pink/black looks cool! 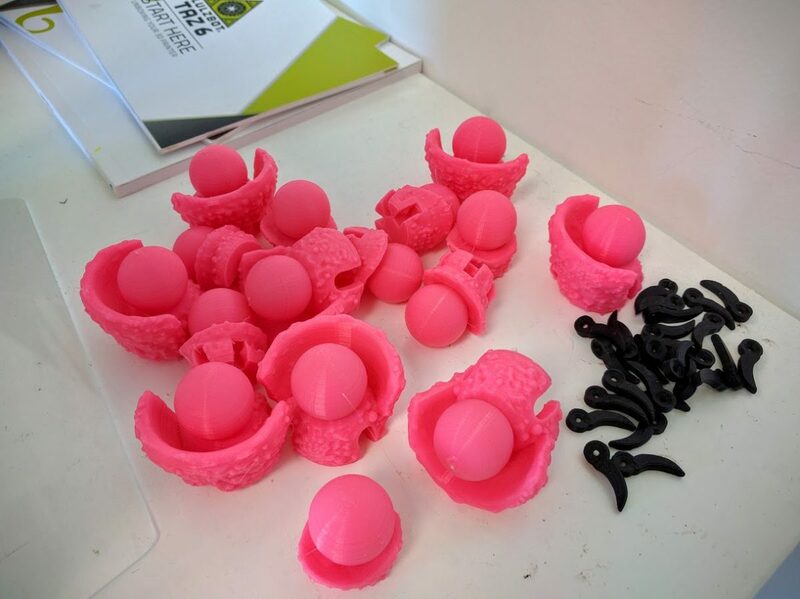 We’ll be displaying them at the Loveland CreatorSpace booth at this weekend’s Denver Mini Maker Faire, stop by and say hi. 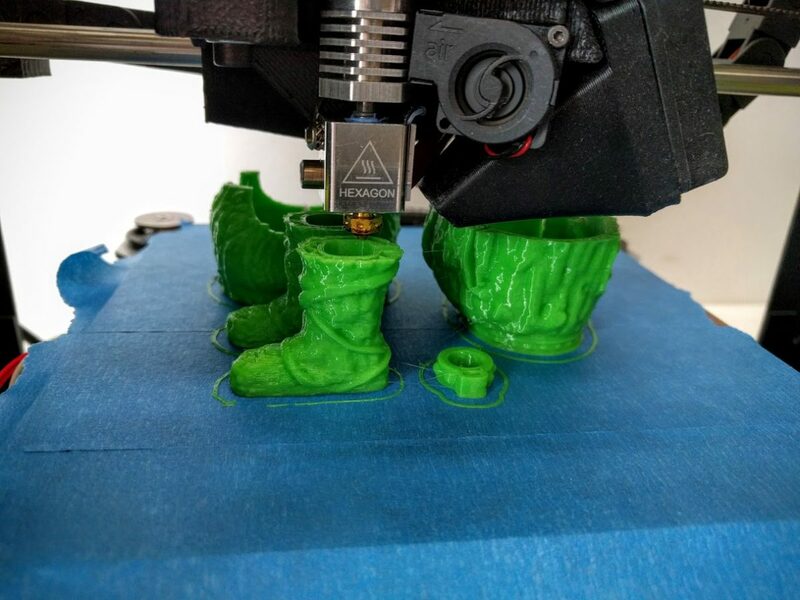 LulzBot TAZ 6 doing a great job print the unsupported tardigrade body sections in PLA with high overhangs. 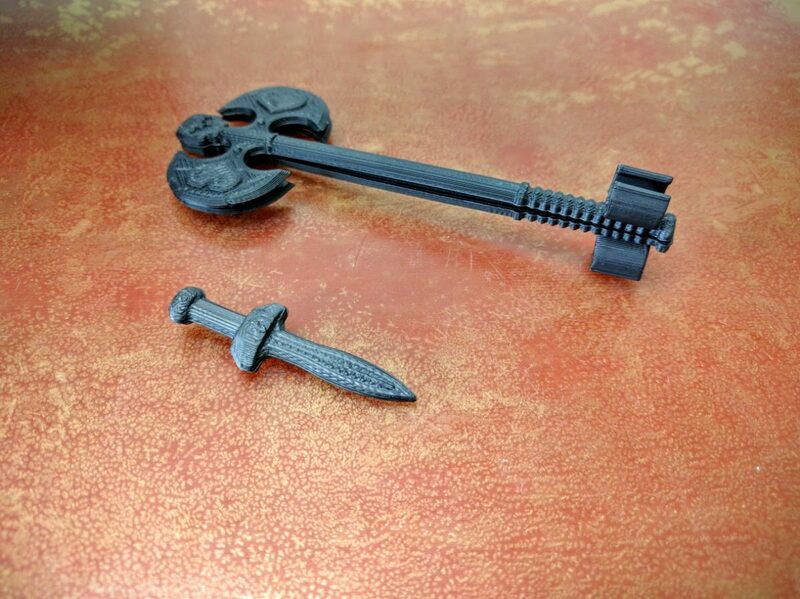 Some of the Barbie sized weapons in the Zhang3 file package. Channel lock pliers was handy inserting the claws. 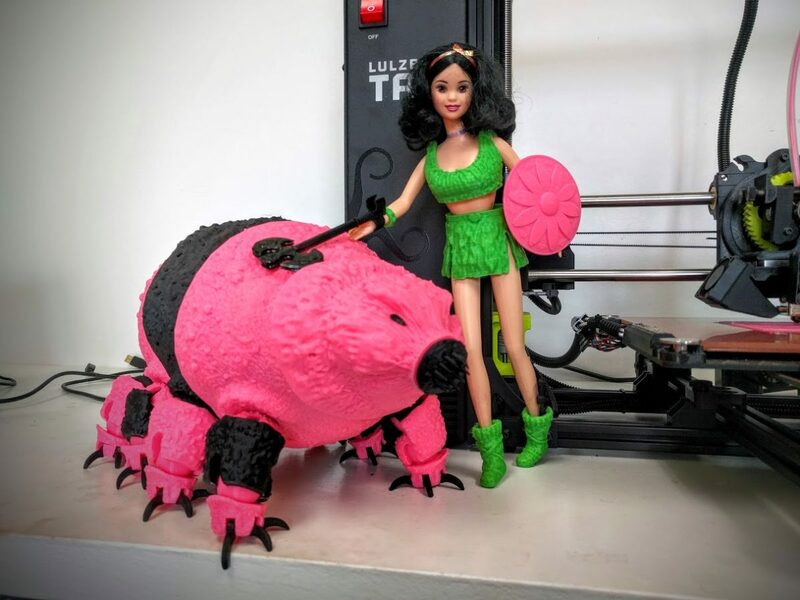 Famous cosplayer Bindi Smalls stopped by for more cosplay 3D printing hardware and was kind enough to do a photo op with Barbie and her battle tardigrade. 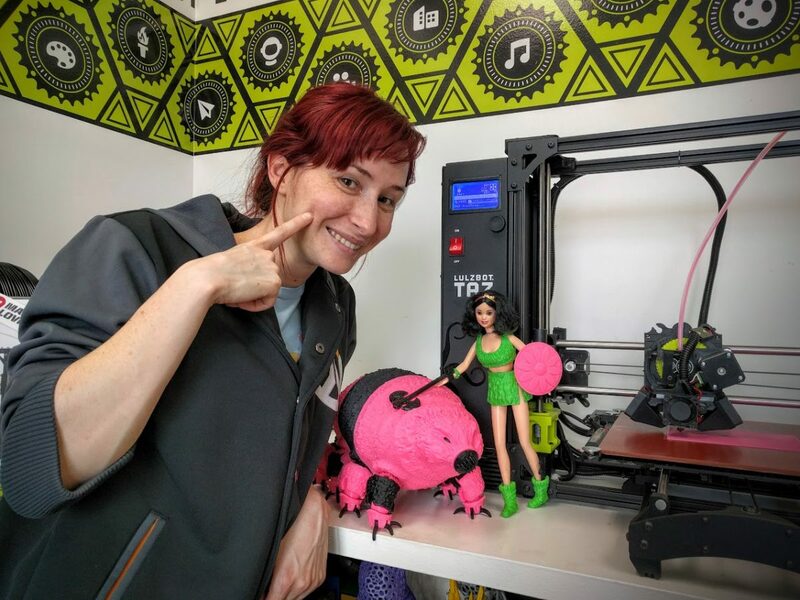 Denver Mini Maker Faire is June 11th and 12th. 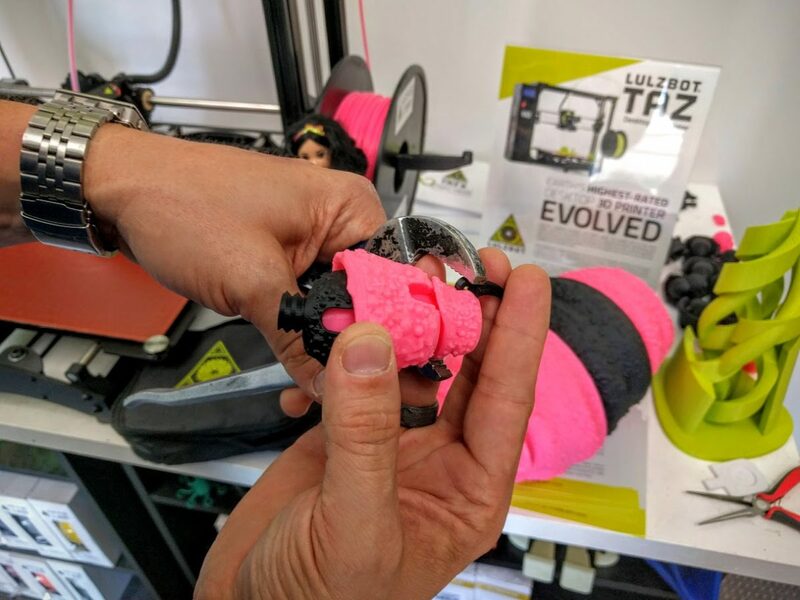 Loveland CreatorSpace will again host the Nerdy Derby where kids can build their own gravity racers, then race them down the 3D printed track. 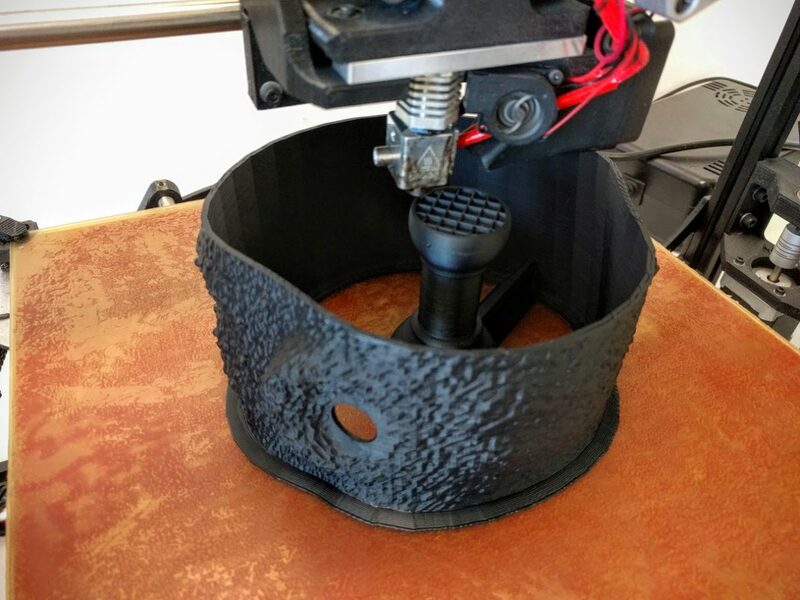 IT-Works 3D Print is part of the team donating 3D printing of wheels for the cars. 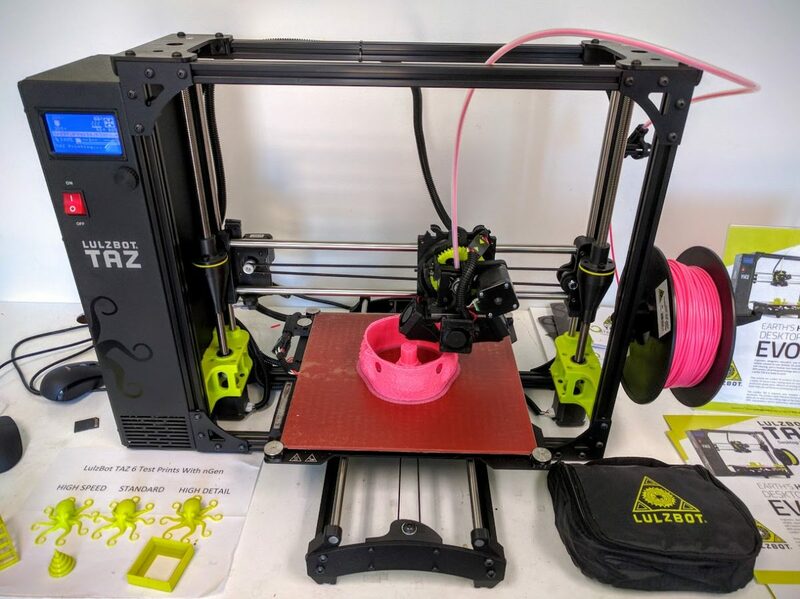 Case study of Lulzbot 3D printers for Maker Spaces! 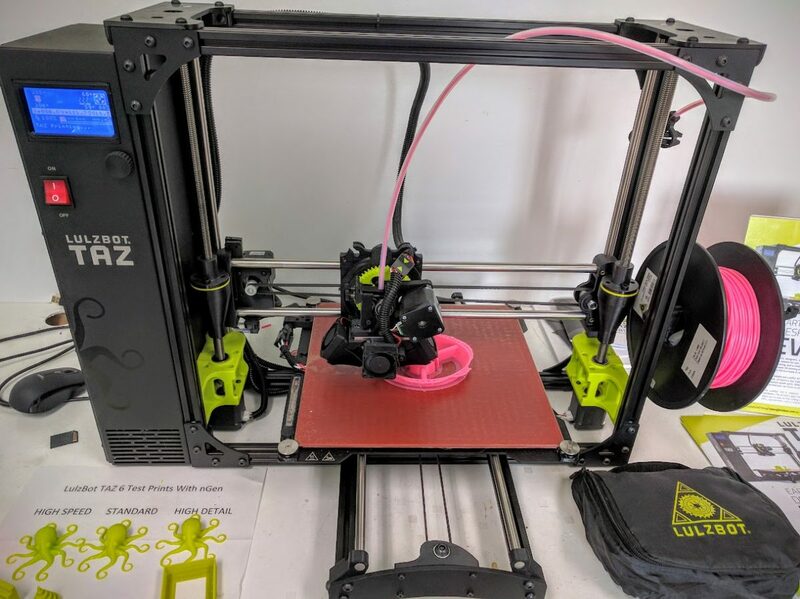 LulzBot recently featured the Loveland makerspace / hackerspace Loveland CreatorSpace and how 3D printers are used there on their site!